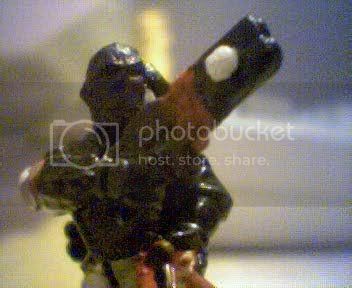 Warhammer 40k Forum Tau Online » Games Workshop/40K Related » Showcase » Take a pic of your commander! Take a pic of your commander! I just started this thread so that people can display their painting/converting skills. Just take a pic of you commander/battlesuit or ethereal and display it here! Re: Take a pic of your commander! I think this should be in showcase. I&#39;ll post up the best unpainted pic of my commander I can find when I retrieve the linky. EDIT: Ah, hell, one picture just isn&#39;t enough. Have fun in the conversion thread I made for him. One of my more aged models now, but still my favourite. Goes by the name of Krull; has a taste for big cigars...and Eldar Grav tanks. Now when did it say that? 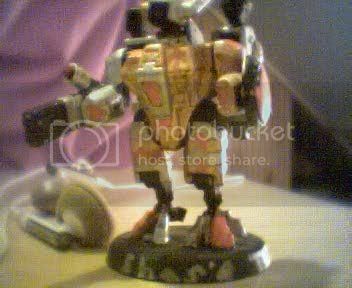 I don&#39;t recall it saying "Tau-HQ only" anywhere in this post. I had to throw a flashlight over it (hence the glossiness...) to show some of the details. I COULD show ya a pic without the FL, but... No... Just, too, too dark.